This would have been my favorite moment. 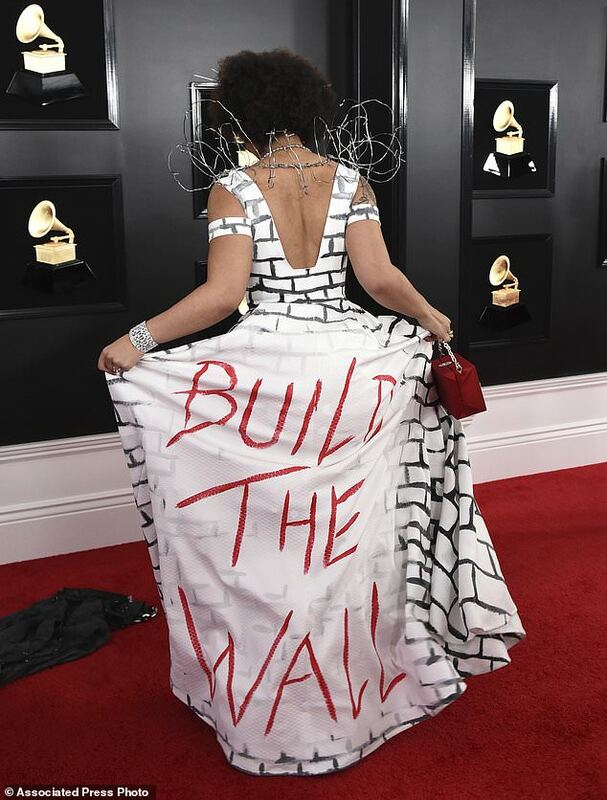 Singer Joy Villa wore a gown depicting barbed wire on her shoulders and a spiky headpiece. “This is what I believe in. 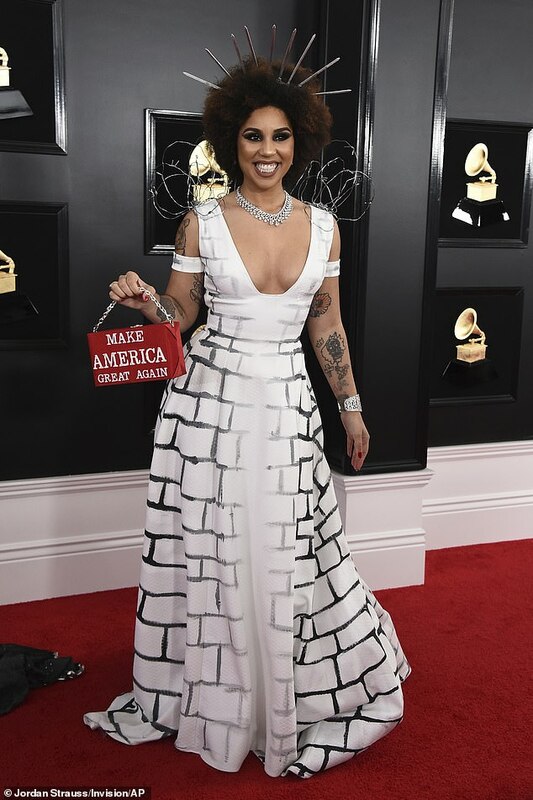 I believe in the President, I just released an album called Home Sweet Home and it’s all about my love for America, barbed wire, I’m having fun with it, ” said Villa. If the back of the dress looks familiar it should. Based on a 1979 album cover.